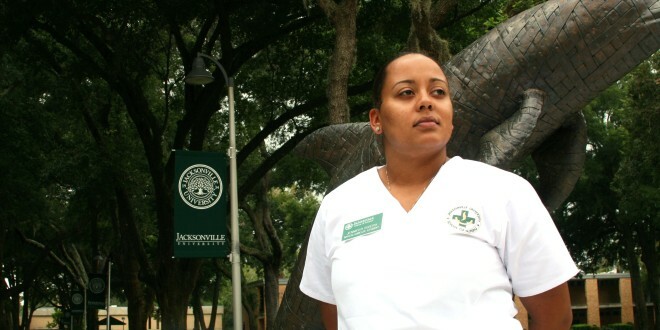 Jennifer Rivera says “the sky’s the limit” now that she’s completing her Bachelor of Science in Nursing at Jacksonville University, with the help of a $2,425 UPS Scholarship provided through the Florida Independent College Fund. 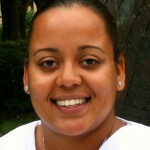 The 26-year-old Middleburg, Fla., resident, who is the daughter of Ingris and Gregory Cowans of Tampa, is active-duty Navy and expects to complete her degree in 2016, with aspirations of obtaining her Master of Science in Nursing (MSN), then becoming an Advanced Registered Nurse Practitioner (ARNP) and then earning her Doctor of Nursing Practice (DNP). She is one of 614 applicants nationwide to earn the scholarship, which is awarded based on academic achievement and financial need. Rivera, the oldest of four siblings, said she is especially proud to be a first-generation college student in her family. Her mother came to the U.S. in the 1980s from the Dominican Republic, helping support the family working two jobs while her husband was employed at an airport job. “It’s an honor to receive this,” said Rivera, who retires from the Navy at the end of September after seven years’ service. “It shows that doing well and sacrificing pays off, and that others notice your hard work. 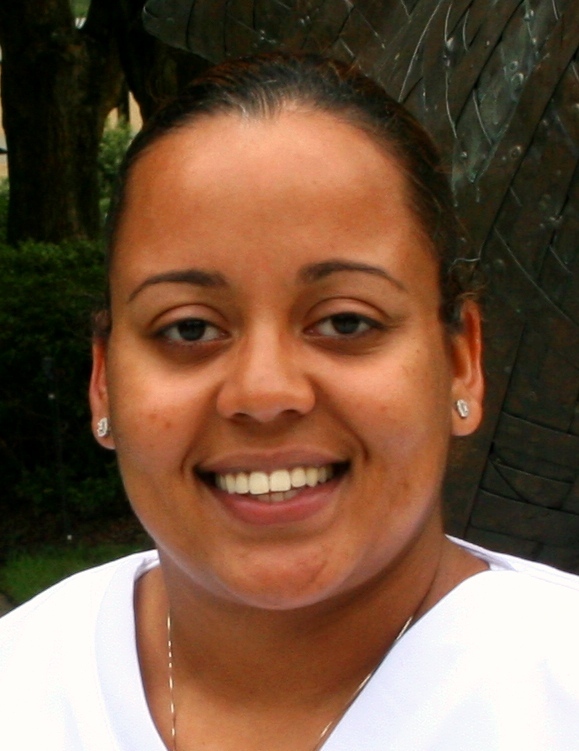 Other Nursing programs recruited her, but Rivera ultimately chose JU’s School of Nursing in its College of Health Sciences and began her degree work in May of this year. The Florida Independent College Fund is a statewide association for private colleges and universities that is affiliated with the Council of Independent Colleges (CIC). At the national level, CIC teams with the UPS Foundation to distribute funding of the UPS Scholarships. “By directly assisting students with significant financial need, CIC and UPS are helping a new generation of students achieve their dreams of a college education,” said Richard Ekman, president of CIC. For more about the Jacksonville University College of Health Sciences, visit http://www.ju.edu/chs.